Last week, my good friend Robert Goldstein did something extraordinary to help me out. He made me his featured blogger. In order to help me spread the word about my GoFundMe campaign, Robert invited me to do a Q&A session with him. Robert sent me a list of questions, about my background and upcoming research, and he constructed a post with my answers. Click the link below to read it! While at Robert’s blog, be sure to check out his other posts and give him a follow. Robert’s a dynamic and kind-hearted man, and he puts out a host of interesting material. Thank you again for your support, Robert! I admire his passion for conservation and his dedication to saving the jaguar from extinction. 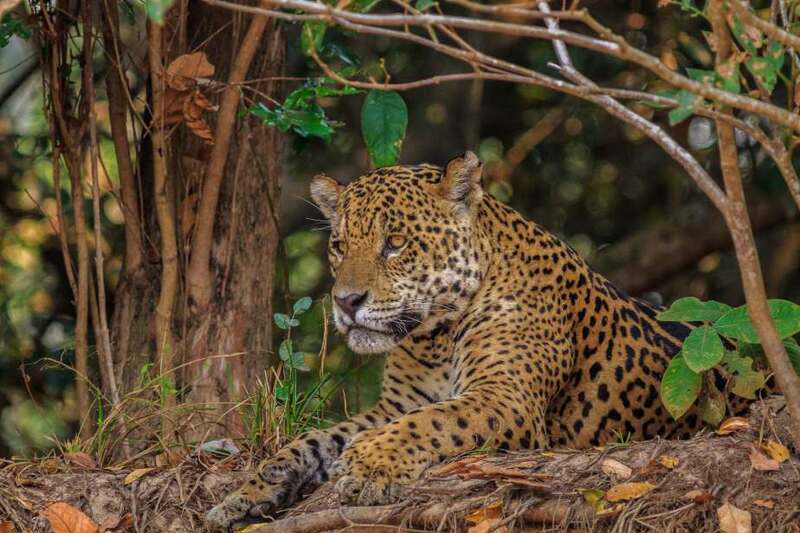 research on jaguars in Guyana. Q.) How long have you been blogging, Josh? A.) I have blogged since June of 2015, so for about a year and a half. Q.) What sparked your interest in conservation? I’ve commented on Rob’s post regarding this post. Keep moving forward in your endeavor. Thanks Yvonne! I’m definitely not going to stop, and I’m glad you commented on Rob’s page. He’s a great guy. Hi there! I only recently stumbled upon this blog, and I find what you’re doing really impressive :) The connection between conservation and the cultural beliefs of local people is something I would never have really thought of, and I find it such a fascinating area to explore. I hope that you’ll be able to raise enough money to continue your research and find success in what you’re doing! Thanks so much Money, I appreciate your kind words. I’ll admit that sometimes my task feels overwhelming, but the support from people like you keeps me going. Please, if it’s not too much to ask, consider sharing or contributing to my campaign in some way. I need all the help I can get to succeed.